Through Mnet's latest reality show, 'Seo In Young's Launch My Life', singer Seo In Young (서인영) is set to design bags for French luxury label, Nina Ricci. 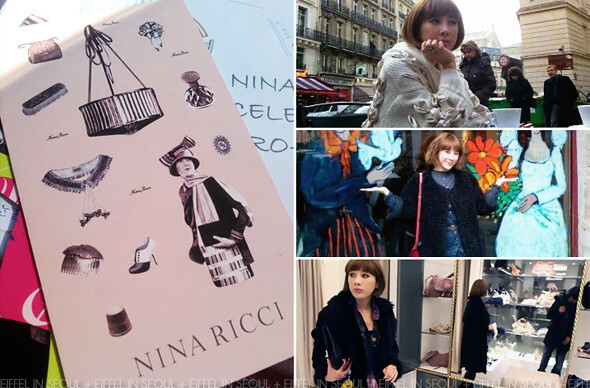 The reality show will also document her trip to Paris, France visiting Nina Ricci store in Avenue Montaigne and becoming a creative director for her project. I was incredibly surprised to read that Seo In Young (서인영) is designing a bag collection instead of shoes since we all know she loves shoes and have a huge collection of them. I would think she would be a better shoe designer compared to a bag designer but let's see what she has to offer.